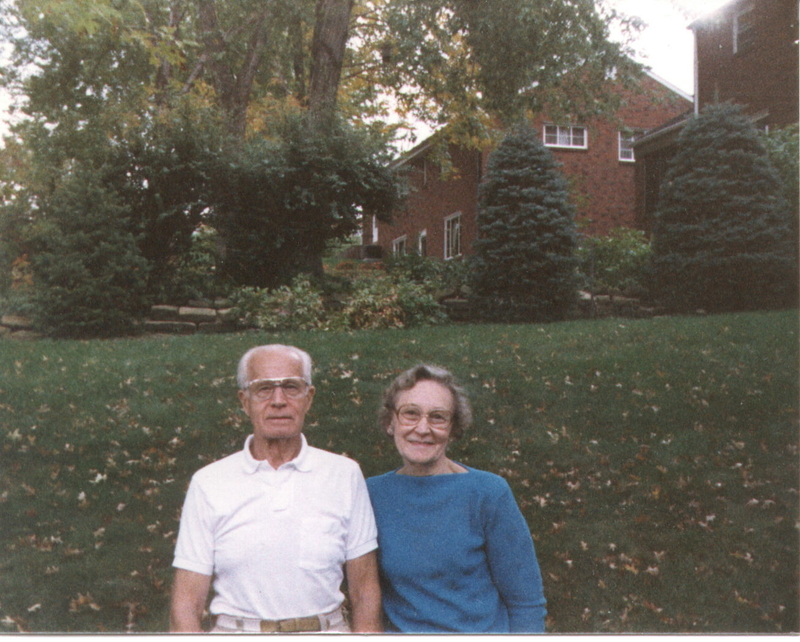 Charles L. Glatz, a graduate of the University of Pittsburgh School of Pharmacy - Class of 1928, long-time resident of Mount Lebanon, Pennsylvania, and salesman for Abbott Laboratories, died at the age of 93 of congestive heart failure on June 7, 2001. He is shown here with his wife Dorothy. Born the son of Austrian immigrants in New York City on August 10, 1907, he arrived in Pittsburgh with them during the First World War. His first connection with the University of Pittsburgh was when he would go to sell donuts to the ROTC recruits on break from drilling. After graduating from Schenley High School in 1925, Glatz earned his pharmacy degree as a member of the first three-year program, before returning to campus to earn a BS degree in 1932. Beginning his career as a qualified assistant pharmacist at Carter's Drugstore in 1926, he helped his best friend, the late Edward C. Ifft, Class of 1926, open the two Ifft pharmacies in 1927 and also worked at McMurray's Drugstore. 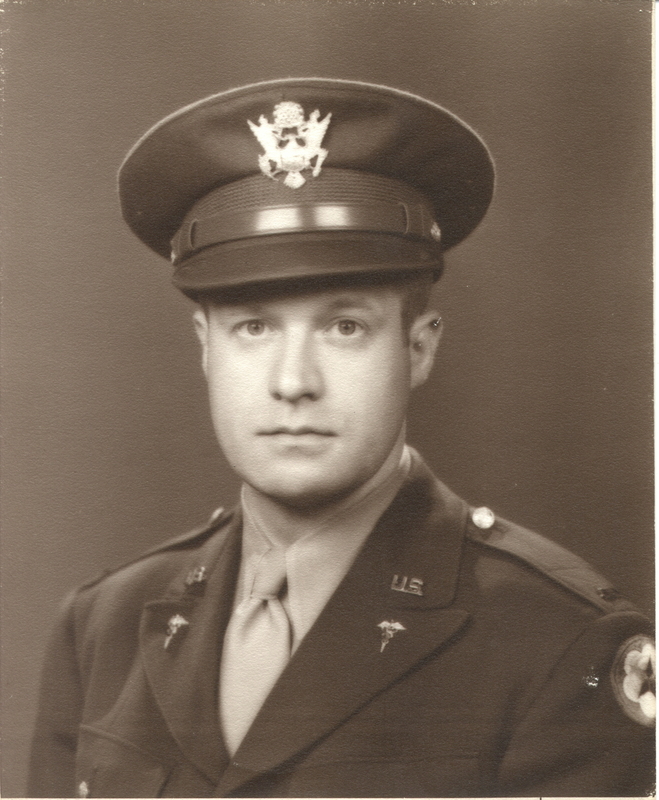 In the 1930's, he switched to sales work with White Laboratories, until joining in 1942 the US Army Medical Corps. In June of 1943, he married his wife Dorothy of Braddock, Pennsylvania, a nurse and state health worker, before he served from June 1944 to October 1945 overseas in Europe. Glatz earned four battle stars and rose to the rank of Captain. He participated in the Allied occupation of Germany, where he was often employed as a German language interpreter. Glatz joined Ross Laboratories, now a division of Abbott Laboratories, in 1950 and was Territorial Manager for Western Pennsylvania with the growing company until retiring in 1972. He loved the work and was often referred to as "Mr. Similac" by pediatrians in the Pittsburgh area, enjoying record sales during the baby boom years. In the 1970's, he worked as a consultant and as a relief pharmacist at Vanadium Drugstore and Asbury Place. He was one of four members of the Class of 1928 who returned to Pitt in 1978 for their 50th Class Reunion and bet he would be the last surviving member. He moved to Denver in 1997 to be with his son Lawrence F. Glatz, a professor of German, after the death of his wife of 54 years. He enjoyed vigorous good health into his 90's and was proud to have his name placed in the School of Pharmacy Brick Walkway. He is also survived by a son, Charles L. Glatz, Jr., a career Foreign Service Officer, currently stationed in Riyadh, Saudi Arabia, and a daughter, Louise Eklund of Westboro, Massachusetts, and eight grandchildren. They include David Eklund, Jr., Christopher Eklund, Lisa Eklund, Sara Eklund, the children of Louise and David Eklund; Franek Glatz, Peter Glatz, Anja Glatz, the children of Charles Glatz and Gosia Lamot; and Christian Glatz, the son of Lawrence Glatz and Jacqueline Roundy. Please send your suggestions or comments to him at: glatz@mscd.edu. Last Modified: August 10, 2007.